A young English biographer is working on a book about the late writer, John Coetzee. He plans to focus on the years from 1972-1977 when Coetzee, in his thirties, is sharing a run-down cottage in the suburbs of Cape Town with his widowed father. This, the biographer senses, is the period when he was 'finding his feet as a writer'. 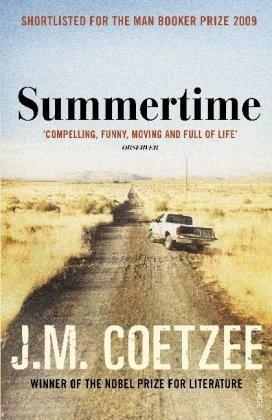 Never having met Coetzee, he embarks on a series of interviews with people who were important to him - a married woman with whom he had an affair, his favourite cousin Margot, a Brazilian dancer whose daughter had English lessons with him, former friends and colleagues. From their testimony emerges a portrait of the young Coetzee as an awkward, bookish individual with little talent for opening himself to others. Within the family he is regarded as an outsider, someone who tried to flee the tribe and has now returned, chastened. His insistence on doing manual work, his long hair and beard, rumours that he writes poetry evoke nothing but suspicion in the South Africa of the time. Sometimes heartbreaking, often very funny, Summertime shows us a great writer as he limbers up for his task. It completes the majestic trilogy of fictionalised memoir begun with Boyhood and Youth.